Cantor Colburn LLP was recently ranked the fastest growing U.S. patent firm over the last ten years (Juristat). And in 2015, Cantor Colburn was #3 for design patents, #7 for utility patents, and #7 for trademarks in rankings of U.S. patent and trademark firms by the number of patents and trademarks obtained for clients each year (Ant-like Persistence). No other law firm ranks higher in all three categories. Cantor Colburn has been nationally ranked in these categories for more than a decade. The firm has also received national recognition for its Litigation Department. Cantor Colburn is one of the largest intellectual property law firms in the country, with more than 120 attorneys and agents providing counsel to clients around the globe from offices in Hartford, Washington, D.C., Houston, Atlanta, and Detroit. With highly specialized knowledge and in-depth understanding of clients' businesses, the firm supports the technological innovations that are driving the world economy. Exceptionally well versed in a wide range of cutting-edge technologies, the firm assists clients in a broad spectrum of industries, including software, aerospace, mechanical engineering, pharmaceuticals, telecommunications, biotechnology, medical devices, and chemical engineering. Nutter is a top Boston-based law firm that represents an international roster of innovative clients with strategic intellectual property assets in a range of sophisticated technologies. The firm’s expertise spans IP strategy, prosecution and litigation; strategic collaborations and licensing; regulatory compliance; as well as M&A, capital raising and finance, government investigations and defense, and products liability. Recognized by clients for experienced, strategic engagement and exceptional responsiveness, Nutter has had a continuous track record of success for over 135 years. Buchanan Ingersoll & Rooney is a national law firm with a proven reputation for providing progressive, industry-leading legal, business, regulatory and government relations advice to our clients. Our attorneys and government relations professionals represent some of the highest profile companies in the nation, including 50 of the Fortune 100. We bring to our clients an intimate knowledge of the players, market forces, and political and regulatory landscape to protect, defend and advance our clients’ businesses. Latham & Watkins is a fully-integrated, global law firm, with more than 2,600 lawyers across the world's major financial, business and regulatory centers. Latham’s Boston lawyers blend local market know-how and deep practice knowledge to create a client-focused approach that puts the collective strength of the firm’s global resources towards solving complex legal challenges to achieve business goals. Latham’s Intellectual Property Litigation Practice comprised of a deep bench of respected, courtroom-tested lawyers who can handle any IP matter, large or small, in venues around the world. In Boston, our intellectual property litigation team represents a range of clients, from emerging companies to international corporations, in patent litigation matters. The team’s work with clients spans a broad range of technologies, including biotechnology, medical device, pharmaceuticals, electronics, internet, and software and computer hardware. When clients come to Ropes & Gray, they find a global team of more than 1,200 professionals, whose top-notch skills, varied backgrounds and unique perspectives can help them meet high-stakes challenges, solve complex problems and reach their goals. An international presence, the firm has offices in New York, Washington, D.C., Boston, Chicago, San Francisco, Silicon Valley, London, Hong Kong, Shanghai, Tokyo and Seoul. Many of the world’s most respected companies and institutions are longtime clients. We also serve many organizations (and investors and individuals) at all stages of the business life cycle, from start-ups to establishment as industry leaders. They come back to us year after year to handle their most important matters. They do so, they say, because we understand their businesses, we are easy to work with and we get results. The firm is built on a foundation of delivering a premier, value-added service at a reasonable cost. Because our clients have unique business needs, including in some cases a preference to work on the basis of alternative fee arrangements, we are flexible and creative in designing custom-tailored pricing plans where appropriate. Ropes & Gray has always focused on providing clients with the highest quality advice on their most critical legal and business needs. We’re a thoroughly contemporary firm that can bring 150 years of legal and institutional history to bear on the challenges clients face in today’s global, networked, 24/7 environment. Our collaborative approach means that our clients have ready access to leading corporate, litigation, transactional and regulatory lawyers whose knowledge and experience span industries and geographies. The Dennemeyer Group has been setting benchmarks for services and software solutions in the intellectual property industry for more than half a century. Dennemeyer rapidly evolved into one of the world’s most comprehensive full-service provider for the protection and management of intellectual property rights: from IP law firm services (Dennemeyer & Associates) and software and management services (Dennemeyer IP Solutions) to IP consulting (Dennemeyer IP Consulting). · other exempt and nonprofit organizations. We are committed to understanding our clients’ needs and providing thorough, practical, quality solutions to address their challenges and opportunities. Our attorneys subscribe to the highest professional and ethical standards, and live the firm's values by providing leadership in community activities, pro bono work and service to the Bar. With Bond, you will benefit from a commitment to service and value from a local law firm anticipating and responding to your unique needs. The Delaware legal community works fast and works smart. We have to. Cases come to us from all 50 states, all the time, from companies seeking the sophistication and business-savvy fairness of the Delaware legal system. 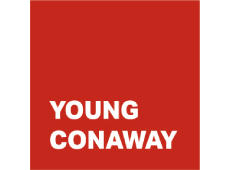 They need local lawyers who can add value from long experience inside that system.Young Conaway has played a role in many groundbreaking cases and has helped shape legislative and case law in Delaware for over half a century. That leads them – or their primary outside counsel - to us. We know Delaware law in all its nuances. Our partners serve on the various committees that regularly draft amendments to Delaware’s entity and other laws. We know Delaware judges, having appeared before them countless times. We usually know opposing counsel, having worked either with or against them in the past. Our legal culture is clearly defined, known for its civility, collegiality, and fairness. In Delaware, local knowledge counts for a lot. So do we. Evolved. Empowered. Empathetic. Efficient. At Condo Roccia Koptiw, we believe expert knowledge and informed dialogue fuels our mission to make our clients’ lives easier and our people’s lives more fulfilling. As a 20-attorney IP boutique in Center City Philadelphia, we represent clients in all intellectual property disciplines, with expertise in electrical engineering, computer software, biochemistry, chemistry and mechanical engineering. White & Case is an international law firm that serves companies, governments and financial institutions. Our long history as a global firm means we are uniquely placed to help our clients resolve their most complex legal challenges wherever they are. From bet-the-company litigation to groundbreaking, cross-border transactions, the IP lawyers in our Firm’s global network deliver decades of experience combined with a broad scope of technical expertise. This knowledge base, combined with our cross-practice strength and worldwide presence, enables us to advise clients on domestic matters as well as issues spanning multiple jurisdictions.